Business leadership has always been a major challenge. Academic experts and consultancies compete to expound on the qualities that are required to succeed. The current economic crisis may change the attitudes of nomination committees when considering the candidates to replace the CEOs of failed businesses. 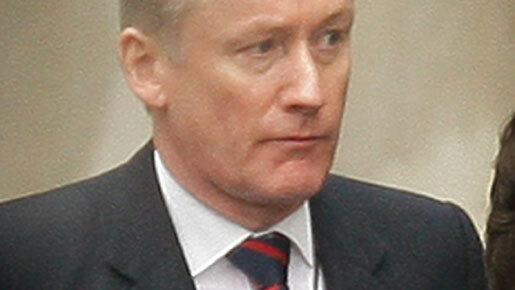 Sir Fred Goodwin expanded the Royal Bank of Scotland from its Edinburgh base by acquisitions to become a major international bank. He was undoubtedly a successful leader in carrying his board, shareholders, employees and customers with him on this adventure, but ultimately, it failed. The dilemma for leaders is balance. The desire for certainty may suggest an emphasis on solid performance and risk aversion – a safe pair of hands in a crisis. However, we know that different situations demand different leadership styles. In some markets, now may be the very time for an entrepreneur to invest cheaply in a new venture. In every boardroom, CEOs are reassessing their business plans. Even those businesses whose revenue streams are strong may be forced to delay investment because they are unable to borrow. It’s tough to stand in front of stakeholders and explain a major change in direction, which implicitly demonstrates that the previous judgement was wrong. That requires the humility to accept the need to change, and decisiveness to take prompt corrective action. Judgement will be the key determinant of CEO success in troubled times. Boards take collective decisions, but ultimately shareholders, employees and customers hold chief executives accountable for making the right calls. Sound judgement requires broad business experience, and now deep knowledge of the business sector will be seen as a great asset. You don’t need to be the leading goal-scorer to be team captain, but everyone feels a lot better if you have been on the score sheet a few times. The CEO has a particular responsibility for vision and strategy, but today’s investors have a critical eye on business fundamentals and success measures. Chief executives need to ensure that the company is delivering every day, and that means being connected to employees at all levels. CEOs need to listen, walk the floor, and be able to personally recognise the underlying strengths and weaknesses. Billions of pounds were spent on improving customer experience at Heathrow’s Terminal 5. However, the implementation was a public relations disaster because it opened without adequate training and testing. Markets change, so businesses change to survive. CEOs will need to give special attention to the innovation process when investment funds are scarce. New ideas must still be allowed to flourish, while ensuring that they are thoroughly evaluated for financial and market success. Picking and nurturing the winners requires CEO input, but the CEO must also ensure that non-viable projects are killed, and that resources are swiftly reallocated to develop other ideas. CEO sponsorship for innovations is critical for board approval, employee commitment, and the allocation of sufficient resources to make the new idea a success. The CEO will always be remembered for the innovation they brought, as well as for delivering the goods. Only the CEO has the breadth of accountability to enable the comprehensive articulation and implementation of a new business concept. New business partnerships may be required, along with significant investments and changes in internal organisation and processes. The effective management of these different strands involves a huge amount of detail. At such times, external consultancies may be called upon as advisors, but the CEO working with senior directors has to provide firm direction, to minimise the time to market, and making the call between options. A track record of successful implementation of strategic change is high on the wish list for those seeking a new CEO. The chief executive needs to communicate with many stakeholders: the markets, shareholders, the board, direct reports, employees, business partners, customers and the public. Successful relations on all these fronts may seem to require a superhuman, but failure with any one of these groups can divert huge amounts of attention. The individual communication skill of the CEO is vital, no matter how effective or professional the staffing in the investor relations and internal communications departments. So there is a question of personal character and skill which underlies the success of the CEO. When the markets and shareholders are demanding change, the CEO must be able to convince them that the board’s strategy will be in their best interests, and that demands personal credibility. Employees are proud to work for a company with a strong corporate social responsibility record. This can set a foundation when the company needs to make changes which do not receive universal approval. The example of the CEO ensures that these issues are taken seriously and handled with sensitivity. Issues like a third runway at Heathrow are important for many businesses, but very controversial. It’s vital to promote the benefits to the community and to achieve a balance between the best interests of the business and any real or perceived detriment to the community. Those who test and need a CEO most are the executive directors. Whether the philosophy of the board is to manage independent business streams as a conglomerate or to maximise the synergies of a fully integrated company, the CEO’s leadership is a prime factor that determines a company result. So the CEO also needs to be an outstanding line manager of highly motivated, ambitious, and sometimes fiercely independent entrepreneurs. The leadership of the CEO is the major influence on the messages that reach all stakeholders. At this time of great uncertainty, employees, investors and business partners seek clarity of purpose and the conviction that the company is doing the right things to stay on track. The credit crunch and its widespread economic impacts have affected every company. Business leaders will need to adapt their behaviour to the new circumstances. In a time of great uncertainty, good business leadership still requires effective communication of the vision, as well as an appropriate balance between attention to delivering today’s results and introducing innovations that will meet customers’ needs tomorrow.